It was well before 9.00am on 15th July that Bryan Snashall trundled his capacious van containing all our gear and the chairman onto The Green to set in motion BCGs attendance at The 2017 Bourne Show. This was the 90th anniversary for the Show and our 14th appearance there. We began in 2004 with a single gazebo and have gone back year by year, gradually growing in the process. In quick time the equipment was unloaded and the Setting Up Gang commenced the task of erecting the four assorted gazebos and fitting them into the space provided. By 10.00am the stage was set and a fresh hive of activity got under way as all the goods for sale that had been patiently collected together in the previous weeks began to arrive and the Bric a Brac and Plant Stall teams commenced the daunting task of arranging everything in an orderly and attractive way to entice the customers. By the official opening time of 1230, all was ready and an enjoyable afternoon’s work began. Trade was steady rather than brisk but picked up near the end especially on the Plant Stall as those departing towards the car park decided to take home one or more of our magnificent blooms to enhance their gardens. Meanwhile, on the Information Stand a trickle of those interested in the serious side of our work stopped for a chat on matters of common interest. The main display this year featured “Wildlife All Around Us – and on Our Own Doorstep.” A number of potential new members were signed up and contact has been made with all of them by our Membership Secretary since the Show. Wendy and John Maddox were also on hand to discuss history and local family matters with a backing display about the Old Churchyard project. 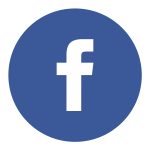 The Bourne Show provides an ideal platform for us as a group with many local interests and we are grateful to the Show Committee for all their hard work in organising the event. We are also greatly indebted to all of our own members who contributed in any way to our presence this year. 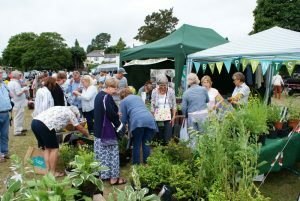 Twenty took part on the day and others had provided goods for sale or grown and nurtured plants. When the treasurer added up the figures she was able to announce that we had made a goodly sum on the day (rather more than last year) which will cover all our essential running costs for the next year. That is a welcome and very tangible result but equally important are the less tangible ones of keeping both our own practical work and the more general interests of Conservation in the local eye. 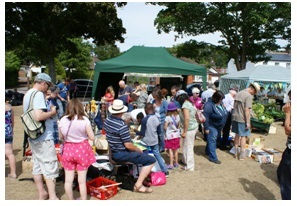 Saturday 16th July was an unexpectedly lovely day that brought out the crowds and certainly all the efforts that went into our stand were very worthwhile. The money raised from our bric-a-brac stall and the sale of plants donated by our members will go a very long way towards meeting our running costs for the next year. We also maintained many contacts with old friends of the Group and made some new ones including several new potential members. Plenty of compliments were made about our work in The Bourne and generally there seemed to be much more awareness of the importance of looking after our greenspaces and the role that private gardens play in supporting wildlife. The Quiz proved to be a good talking point and three clear prize winners emerged. None of this would have been possible without so much hard work throughout a long, hot day on the Green and in the lengthy build-up period. All the teams on the day worked brilliantly so that we were set up in good time, ready for customers without delay and able to pack up and transport everything off site in an efficient way. Thanks to all members, spouses and others who contributed in any way at all before, during and after the event. In 2014 we went to some trouble to improve and extend our participation in The Bourne Show and this year we made sure we capitalised on those very successful enhancements. We also made sure we allowed for the earlier opening time of 1230 by bringing forward our timings on the day. The result was a very smoothly conducted operation by the BCG machine. Charles Fearnley was on The Green very early to make sure of the very good pitch we had been allocated by the Show Committee between the bandstand the Tilford Forge! Charles waited patiently for the arrival of Bryan Snashall?s van carrying all our gear including the proverbial kitchen sink as well as his brother Kevin and the chairman. The rest of the set-up team were quickly on hand and in no time at all erection of our four gazebos was well in hand. Just as the setting up was nearing completion the first goods for sale began to arrive: one kind contributor drew up with a large car load of plants saying ?I have another load waiting at home.? This set the tone for the day and by noon we were completely in business, indeed sales had already begun. The sales side consisted of Bric-a-Brac and Plants and both stalls did steady trade all afternoon with occasional bouts of frantic activity. 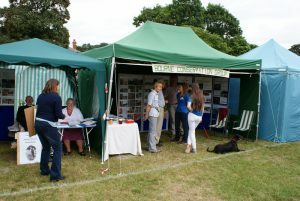 Our Information Tent also had crowded moments but overall there was an air of calm around the displays depicting the work of BCG and the wildlife in and around The Bourne. 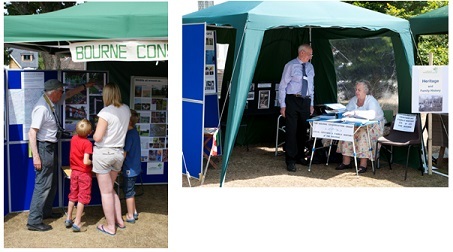 The same was true of our Heritage tent where Wendy and John Maddox had a steady stream of visitors to discuss local and family history matters. The Show seemed bigger than ever this year and by mid-afternoon there were reports of the nearest parking being on Monks Walk a kilometre away. This speaks highly of the work of the organising committee in attracting such a crowd and we extend our thanks to them for running the event so efficiently. Was it all worth it? The answer to that is a resounding ?Yes? for a number of good reasons. The first is that on the financial side our two trading stalls raised a record amount of money which will cover our running costs for another year. On the recruitment side we signed up a number of new members and Friends and hopefully will attract some more with the leaflets we handed out. We also renewed many old contacts and made some new ones, for example the craftsmen at the Tilford Forge who we might like to do some work for us in the Old Churchyard. More important perhaps are the less tangible results: we had 22 members working with a will during the day and there were many comments on how much they enjoyed it. Also our large and interesting stand will have made many new arrivals in the area aware of the work we do in the community and the professional way in which we go about.